This article is about the university in Ontario, Canada. For Carleton College in Minnesota, US, see Carleton College. Carleton, which has produced more than 140,000 alumni, is reputed for its strength in a variety of fields such as humanities, international business, engineering, physics, entrepreneurship, computer science, and many of the disciplines housed in its Faculty of Public Affairs (including international affairs, journalism, political science, political economy, political management, public policy and administration, and legal studies). As well as having excellent student accommodation facilities (Paul-Menton Centre, MacEntyre Centre). The university is named for the now-dissolved Carleton County, which included the city of Ottawa at the time the university was founded. Carleton County, in turn, was named in honour of Guy Carleton, 1st Baron Dorchester, who served as Governor General of Canada of The Canadas from 1786 to 1796. As of 2017, Carleton has enrolment of more than 25,000 undergraduate and more than 4,000 postgraduate students. Its campus is located west of Old Ottawa South, within close proximity to The Glebe and Confederation Heights, and is bounded to the north by the Rideau Canal and Dow's Lake and to the south by the Rideau River. Carleton competes in the U Sports league as the Carleton Ravens. The university is renowned for the strong performance of its men's basketball team, which won seven consecutive Canadian national championships between 2006 and 2017, in addition to 13 of the 15 championships since 2003. Carleton College, a non-denominational institution, was founded in 1942 at the height of the Second World War by the Ottawa Association for the Advancement of Learning. It began in a rented building and only offered night courses in public administration and introductory university subjects. When the war ended in 1945, the college began expanding to meet the needs of veterans coming home. The Faculty of Arts and Science was established, which included courses in journalism and first-year engineering. In 1946, the college moved to First Avenue in The Glebe neighbourhood, the former location of the Ottawa Ladies' College. Its first degrees were conferred in 1946 to graduates of its programs in Journalism and Public Administration. For nearly a decade the college operated on a shoestring budget, with funds raised mainly through community initiatives and modest student fees. During the war, student fees were kept low and Carleton gave special grants to veterans returning home who wished to continue their studies. The faculty was composed largely of part-time professors who worked full-time in the Public Service, some of whom were convinced to leave for full-time tenure positions. However, full-time teaching staff were still mostly young scholars at the beginning of their careers. In 1952, the Carleton College Act was passed by the Ontario Legislature, changing its corporate name to Carleton College and conferring the power to grant degrees. 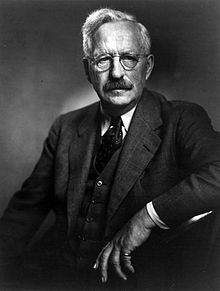 Carleton thus became the province's first private, non-sectarian college. In the same year, the 62-hectare property nestled between the Rideau Canal and the Rideau River on which the current campus is located was acquired. Some of the land was donated by Harry Stevenson Southam, a prominent Ottawa businessman . Construction began on the new campus in 1953. In 1957, the Carleton University Act of 1952 was amended, granting Carleton status as a public university and thus changing its name to Carleton University. Carleton's motto, "Ours the Task Eternal," is taken from Walt Whitman's poem, Pioneers! O Pioneers!. The governance was modelled on the provincial University of Toronto Act of 1906 which established a bicameral system of university government consisting of a senate (faculty), responsible for academic policy, and a board of governors (citizens) exercising exclusive control over financial policy and having formal authority over all other matters. The president, appointed by the board, was to provide a link between the two bodies and to perform institutional leadership. In 1959, construction was completed on the new Rideau River campus, and Carleton moved to its current location. The original buildings included three that still stand today, the Maxwell MacOdrum Library, Norman Paterson Hall and the Henry Marshall Tory Building. Following this, Carleton rapidly expanded to meet the need for tertiary education in Canada. The policy of university education initiated in the 1960s responded to population pressure and the belief that higher education was a key to social justice and economic productivity for individuals and for society. In 1967, a Catholic institution, Saint Patrick's College, was incorporated into Carleton. Founded in 1942, it had been granting its diplomas via the University of Ottawa. Both University of Ottawa and Saint Patrick's had been inaugurated by the Catholic order Oblates of Immaculate Mary (OMI). The college was housed in a building on Echo Drive, near the Pretoria Bridge. Around 1973, a new building was erected on the Carleton campus proper. The college was dissolved as a separate entity after the 1979 academic year. Its final dean was Gerald Clarke who had been a professor from 1954. It had been known for its school of social work. Carleton's School of Social Work continues to offer undergraduate and graduate programs. Improvements in Carleton's financial situation have resulted in many enhancements to the campus. These include, inter alia, the $30-million construction of new athletics facilities, the $22-million, 9,011 m2 (97,000 ft2) Human Computer Interaction (HCI) Institute Facility and Centre for Advanced Studies in Visualization and Simulation (V-SIM), and the $17-million upgrade and expansion to the University Centre. In 2008, a green globe designed residence was added named Frontenac House. The Faculty of Arts and Social Sciences (FASS) offers a variety of programs leading to the Bachelor of Arts (BA), Bachelor of Arts (Honours), Bachelor of Arts (Combined Honours), and Bachelor of Music degrees. It also notably houses the College of the Humanities, one of Canada's few Great Books programs, which leads to a B.Hum (Bachelor of Humanities) degree, and Carleton's Institute of Cognitive Science, which offers the only fully structured PhD program in Cognitive Science in the country, as well as undergraduate and masters programs. There is also a collaborative MA in Digital humanities, one of the first in Canada. The Public History Program is known nationally for its innovative teaching and research, having recently won national prizes. FASS offers, in total, 14 master's and nine doctoral programs. The Sprott School of Business was the first in Canada to offer a Bachelor of International Business (BIB). Its principal undergraduate offering, however, is the four-year Bachelor of Commerce (Honours) degree, and at the postgraduate level, MBA and PhD programs are offered. The Sprott School has won the Overall Institution Performance Award, for its research contribution, at the Administrative Sciences Association of Canada (ASAC), in 2004, 2005, 2006, 2007, 2008, 2010, and 2012 among business schools at Canadian comprehensive universities. Carleton's engineering program is known for its leather jackets, pictured above. Carleton's Faculty of Engineering and Design houses one of the country's first Industrial Design programs, Carleton's collaborative Bachelor of Information Technology (BIT) programs with Algonquin College, the university's Architecture program, and programs in a variety engineering disciplines leading to the Bachelor of Engineering (BEng) degree, including a focus on wireless networking, sustainable energy, and Canada's oldest in Aerospace Engineering. The Norman Paterson School of International Affairs (NPSIA, nip-see-yuh) is a professional school of international affairs at Carleton University that was founded in 1965. The school is housed in the River Building. Students, alumni and faculty of NPSIA are referred to as NPSIAns (nip-see-yins). NPSIA is Canada's leading school of international affairs, founded during what is commonly considered a golden age of Canadian diplomacy. The school offers an interdisciplinary approach to the study of global issues, divided into seven clusters. NPSIA is the only full Canadian member of the Association of Professional Schools of International Affairs, a group of the world's top schools in international affairs. NPSIA is well regarded within the international affairs community, and admission to the school is highly selective. In 2007, a poll of Canadian academics, intended to determine the best professional masters programs in international affairs, ranked NPSIA at No. 2, tied with Georgetown University, and ahead of programs at universities like Harvard and Columbia. In 2007, a poll of Canadian academics intended to determine the best professional masters programs in international affairs ranked NPSIA at No. 2, tied with Georgetown University. Two years later, Canadian academics ranked NPSIA the fifth best school in the world from which to obtain a terminal master's degree, ahead of schools like Princeton University and Yale University. In the same study, factoring in votes from surveyed academics from around the world, the school ranked 14th in the world, the only Canadian school to rank. Many of Carleton's flagship offerings are housed in the Faculty of Public Affairs (FPA). This includes the School of Journalism and Communication, which offers the university's Bachelor of Journalism and Master of Journalism programs and has educated many leading personalities in the field, and the Norman Paterson School of International Affairs (NPSIA), which houses Canada's oldest foreign affairs graduate program. NPSIA, founded in 1965, is a member of the Association of Professional Schools of International Affairs (APSIA). The School of Public Policy and Administration is the oldest such academic division in Canada and one of the most respected, with the university's first graduate degree in the discipline being granted in 1946. Carleton's Arthur Kroeger College of Public Affairs offers two unique honours degrees: the Bachelor of Public Affairs and Policy Management (BPAPM) and the multidisciplinary Bachelor of Global and International Studies (BGInS). The college is also home to the Clayton H. Riddell Graduate Program in Political Management. In September 2006, Carleton was designated a European Union Centre of Excellence by the European Commission in Brussels and was the first university to offer a BA (Honours) in European and Russian Studies and MA in European, Russian and Eurasian Studies. Its Department of Law & Legal Studies offers a BA (Honours) in Law and MA and PhD programs in Legal Studies, and is Canada's oldest legal department to take an epistemic, rather than professional approach. The Department of Political Science, which offers both undergraduate and graduate programs, was ranked 1st in 2006 amongst Canadian comprehensive universities based on total publications and citations by Research Infosource Inc. The faculty also features the Institute of Political Economy, the Institute of Criminology and Criminal Justice and African Studies, and is home to the School of Social Work and Department of Economics. The Faculty of Science offers 86 undergraduate and 39 graduate programs across various fields including biology, chemistry, physics, health sciences, mathematics, computer science, neuroscience, and earth sciences, with over 6,500 students enrolled, served by 177 faculty members. Initial coursework on biology, chemistry, geology, and mathematics was first introduced in 1942 as night classes. In 1947, the school introduced its first undergraduate degrees in science, graduating its first cohort of honours degrees by 1950. The Faculty of Science is divided into eleven departments, each with distinct teaching and research focuses. Departments are housed in several buildings across campus, including Herzberg Laboratories, Steacie Building, Tory Building, the Nesbitt Biology Building, and the Health Sciences Building. Each of these buildings house laboratories and other facilities for faculty and students alike to conduct research. The Nesbitt Biology Building contains several climate-controlled greenhouses that is host to an annual Butterfly Show in late September to early October, attracting visitors throughout the National Capital Region. The National Wildlife Research Centre, a research facility of Environment and Climate Change Canada is also located on campus, and is home to the National Wildlife Specimen Bank, a repository of over 12,000 specimens of wildlife native to Canada. The centre conducts important research on the effects of toxic substances on wildlife, international migratory bird patterns, and the effects of human activities on wildlife. Since 2012, Carleton University has been affiliated with Dominican University College, a small, bilingual, Roman Catholic liberal arts college located in downtown Ottawa. The college was founded in 1900, and offers undergraduate and graduate degrees in philosophy and theology. Undergraduate admission averages and requirements vary by academic program, with some specialized and limited enrollment offerings (e.g., Bachelor of Journalism, B.Hum., B.P.A.P.M. and Aerospace Engineering) requiring admissions averages markedly higher (i.e., in the A/A+ range) compared to their counterparts in other faculties (generally in the B+/A- range). At the postgraduate level, admissions requirements also vary depending on the program, and the university provides significant funding to support students as they complete their programs of study and research, totalling $43 million in 2011. Carleton has been included in Canadian and international college and university rankings. In the 2019, Carleton was ranked 501–600 in the world by the Times Higher Education World University Rankings. In the 2019 QS World University Rankings, Carleton ranked 651–700 in the world. The 2018 Academic Ranking of World Universities ranked the university at 701–800 in the world. In the 2019 U.S. News & World Report Best Global University Ranking, the university was ranked 489th in the world, and 19th in Canada. In terms of specific program rankings, Carleton has fared quite well in many of its flagship programs. In a 2009 worldwide survey of academics which sought to determine the best professional masters programs in international affairs, NPSIA ranked 14th in the world, the only Canadian school to rank. This was followed by a more recent domestic survey of international relations academics, who in 2015 recommend Carleton as the best choice for students seeking a career in policy. Carleton University campus as seen from the south. The Carleton University campus is situated on 150 acres (60 ha) bounded to the west by Colonel By Drive and the Rideau Canal, to the east by Bronson Avenue, and the south by the Rideau River. During its initial construction in 1959, the campus consisted of three buildings, the MacOdrum Library, the Tory Building, and Paterson Hall, forming a quadrangle situated at the heart of the univerity's academic buildings. Since then, the university has expanded to forty-seven buildings, the newest addition being the Health Sciences Building, which was inaugurated in 2018. The campus is bisected by the O-Train Trillium line, with several pedestrian and vehicular bridges and tunnels facilitating access between either side. The majority of the university's academic and residential buildings are situated on the western side of campus, while the eastern side contains the university's athletics facilities and administrative offices. The 2010-2011 academic year saw the inauguration of three buildings; Richcraft Hall (formerly River Building), Canal Building, and Lennox-Addington House, in addition to an extension to Residence Commons Canal Building will both house classes and serve as an extension to the Engineering faculties; Richcraft Hall will house the School of Journalism and Communication, the Norman Paterson School of International Affairs and the School of Public Policy and Administration. In December 2013, an extension of the MacOdrum Library, which saw the installation of a new glass facade, was inaugurated. In September 2016, the River Building was renamed Richcraft Hall in recognition of a donation of $3 million from the Singhal family, known for their extensive philanthropic activities in the Ottawa area. Kris Singhal, the President of Richcraft Homes, is an alumnus of Carleton University himself. The decision to rename the River Building to its current name was a source of controversy among many students and faculty, and later became the subject of a series of Internet memes. The prevalence of modernist architecture in the design of earliest academic buildings on the Carleton campus represented a stylistic departure from the tradition of collegiate architecture in North America, which typically evoked imagery of ivy-clad, Gothic buildings. The decision to incorporate the modernist style into the design of the campus was purposeful, seeking to capture the spirit of Carleton as a progressive, forward-thinking institution. Architectural critics have looked to Carleton as a leading example of modernist collegiate architecture in Canada. The campus became the subject of Modern U, an exhibition by local artist Adrian Gröllner that sought to highlight the late modernist architecture embodied by many of Carleton's early buildings. Buildings on campus, with a few exceptions, are connected by a five kilometer-long system of underground pedestrian tunnels. The Carleton University tunnel system is the most extensive network of tunnels at a Canadian university or college campus. The tunnels were initially built as part of the second phase of initial construction on campus in the 1960s. Originally conceived as a maintenance crawl space connecting heating and ventilation between campus buildings, a suggestion by a staff member transformed them into accessible pedestrian tunnels for students and faculty to use when travelling between different buildings on campus. The tunnels receive heightened usage during the winter months due to the severity of winters in Ottawa. Maintenance staff use modified golf carts in the tunnels to transport personnel, supplies, and mail to different locations on campus. Carleton has eleven student residence buildings clustered together in the northwest section of campus, and are connected to the university's tunnel system. The first residence buildings constructed on campus were the Renfrew and Lanark Houses, which began accommodating students in 1962. In 1969, the university introduced the first co-educational dormitories in North America. Since then, the university has gradually expanded the number of dormitories as enrollment has risen. On-campus housing at Carleton is configured in traditional and suite-style residences, with the latter offering students a kitchenette shared between four student. Unlike most collegiate dormitories, bathroom facilities are typically shared between two rooms. Residence floors are staffed by dedicated Residence Fellows, upper-year students hired by the university's Department of Housing and Residence Life Services to provide personal and academic support to students. Although the majority of students housed on-campus are first-year students, Frontenac House is reserved for returning second-year students, while Leeds House is reserved for upper-year and graduate students. Residence Commons serves as a hub for students living in residences, as it houses The Caf, the university's main dining hall, the Residence Reception Desk, a Tim Horton's location, and Abstentions, a convenience store operated by the Rideau River Residence Association (RRRA), which functions as the student government for residence students. During the summer months, some residence halls are turned over to Conference Services for use as hotels for visiting school and tourist groups to Ottawa. The Canadian Armed Forces uses some facilities, notably Glengarry House and Residence Commons, to house and feed the Ceremonial Guard, which conducts the renowned Changing of the Guard ceremony on Parliament Hill and posts sentries at Rideau Hall. It is possible to see marches and drills occurring on campus during this season. During the 2017-18 academic year, Carleton awarded $21.5 million in scholarships and bursaries to students, totalling approximately 12,000 individual scholarships. Beyond automatic entrance scholarships, the university also awards twenty-four Prestige Scholarships, which represent the highest institutional scholarships awarded by the university. Incoming students must submit a supplementary application, in addition to an admission average above 90% in order to qualify. Additional scholarships, such as the Arthur Kroeger National Scholars Program, are awarded to students entering a specific program based on their academic merit. Carleton University has also joined Project Hero, a scholarship program co-founded by Gen. (Ret'd) Rick Hillier for the families of fallen Canadian Forces members. The Government of Canada sponsors an Aboriginal Bursaries Search Tool that lists over 680 scholarships, bursaries, and other incentives offered by governments, universities, and industry to support Indigenous post-secondary participation. Carleton University scholarships for First Nations, Métis & Inuit students include the Gordon Robertson National Inuit Scholarship. One of the three original buildings on the Carleton campus, the MacOdrum Library has served as Carleton’s central library and archives. The library is named for former Carleton President and Vice-Chancellor Murdoch Maxwell MacOdrum. As of 2017, the Library maintains a collection of approximately 1.8 million print items, 161,396 cartographic materials, and 876,396 e-books. In 2013, the Library inaugurated the Discovery Centre for Undergraduate Research, a multi-purpose space containing meeting tables, multimedia collaborative spaces, video game laboratories, as well as 3D printers. The Library occasionally hosts special artistic and historical exhibitions on the first floor, covering a broad spectrum of topics and academic disciplines. The MacOdrum Library maintains extensive archives and research collections of documents, artifacts, and other materials related to specific academic disciplines, as well as the personal effects of various persons of historical significance. Notable collections include the W. McAllister Johnson Collection, containing artwork and other documents pertaining to French art history in the 17th and 18th centuries, The Uganda Collection, which houses newspaper clippings, documents, and artifacts related to the expulsion of Uganda's South Asian minority under the rule of Idi Amin, as well as the Carleton University Corporate Archives, storing yearbooks, student newspapers, photographs, and documents significant to the history of the university itself. All undergraduate students are members of the Carleton University Students' Association (CUSA), Canadian Federation of Students Local 1. It was founded in 1942 and has a long history of being a nucleus of political activity. The organization advocates on behalf of undergraduates, organizes and delivers the annual frosh week in conjunction with the university, certifies and financially supports student-run clubs and societies and provides a variety of services to students. Students elect an executive and council members to represent them and their academic units within CUSA on an annual basis. The organization administers a number of student centres designed to cater to the safety and well-being of various members of the student body; these are the Aboriginal Service Centre, BECAMPS (for mature students), the Carleton Disability Awareness Centre, Food Centre, Foot Patrol, Gender and Sexuality Resource Centre, International Students' Centre, Race, Ethnicity and Cultural Hall, and the Womyn's Centre. It also runs a number of businesses: Oliver's, the undergraduate student pub which hosts a range of events throughout the year; Rooster's Coffeehouse, a café that serves a variety of non-alcoholic refreshments and fast foods; and Haven Books, a discount textbooks outlet. Undergraduate students who live in the university's residence facilities are also members of the Rideau River Residence Association (RRRA). Founded in 1968 and incorporated in 1976, student members elect executives and floor representatives to the body, which endeavours to represent the interests of Carleton's undergraduate residents. It hosts a variety of events for resident students, including an annual formal, and runs Abstentions, a convenience store located in Residence Commons. All of the university's graduate students are members of the Carleton University Graduate Students' Association (GSA), Canadian Federation of Students Local 78. Graduate students elect an executive and council members to represent their respective interests within the organization, which in turn advocates on their behalf and provides a variety of services that cater to postgraduates, which include the operation of a 'Grad Lounge' and graduate students' pub called Mike's Place (named after the late Prime Minister Lester B. Pearson), and the provision of access to a variety of office services. Carleton is also the birthplace of the code for BigBlueButton, an open source project that enables universities and colleges to deliver high-quality learning experiences to remote students. The student newspaper is The Charlatan, which was founded in 1945. A newspaper for residence students, The Resin, was published until 2014 when the residence association discontinued it. During the school year the School of Journalism publishes a community newspaper, Centretown News, which reports on the Centretown neighbourhood of Ottawa, and an online newspaper, Capital News Online, and produces Midweek, a 90-minute current affairs radio show which is broadcast to the city. There is also the student-run writers' zine, In/Words, which is sponsored by the Department of English Language and Literature, as well as The Iron Times, published by the Carleton Student Engineering Society. Carleton is home to a community radio station, CKCU-FM. Broadcasting for the first time on 14 November 1975, CKCU-FM was the first licensed community-based campus radio station in Canada. While Carleton does not have a theatre department, its student-driven Sock 'n' Buskin Theatre Company, which was founded in 1943, is one of the institution's important fixtures. The Ravens men's basketball team has won the national championship thirteen times between 2002 and 2017, with five consecutive titles between 2002–03 and 2006–07 and seven consecutive titles between 2010-2011 and 2016-2017, surpassing the University of Victoria at the top of the all-time list. The Vikes had seven consecutive wins in the 1980s. With its 12th crown in 2016, the Ravens eclipsed the UCLA Bruins men's basketball team as the college with the most national basketball titles, a feat accomplished in 14 years, compared with UCLA's 11 titles in 32 seasons. The Ravens football program was abolished on March 3, 1999, due to a lack of success and the ensuing financial burden, then revived for the 2013 season. The idea for revival was first brought forward in 2000 by the Old Crow Society, which represents Carleton Football's alumni, but it was deemed premature at the time. Subsequently, a 2008 survey indicated 86% of students were in favour of resuscitating the university's football program. The team planned to form an independent corporate entity with its own revenue stream—a model that has proven successful at other schools, notably Laval University. The Carleton Ravens men’s ice hockey team plays within the Ontario University Athletics conference of U Sports. Carleton is home to local and international fraternities and sororities. The Carleton University Greek Council (of which nearly all fraternities and sororities are members) is recognized as a student organization by CUSA. Past faculty include three Nobel laureates (pioneering scientists in physics and chemistry Gerhard Herzberg and Peter Grünberg and the former Prime Minister of Canada, Lester B. Pearson) as well as six Order of Canada recipients. The Right Honourable Herb Gray, Canada's longest-serving continuous Member of Parliament, former Cabinet minister in the Trudeau, Turner, and Chrétien governments, former Deputy Prime Minister, and acting Leader of the Opposition, was the 10th Chancellor of the University. The current Chancellor is Charles Chi (BEng '88), a venture capitalist and executive chairman of Lytro. His company has designed a revolutionary new camera that uses light field technology. Roseann Runte was appointed the university's president on 8 January 2008, succeeding David W. Atkinson and his pro tempore (acting) successor Samy Mahmoud, the previous Vice-President (academic). ^ "2017 Financial Summary" (PDF). Retrieved 29 April 2018. ^ "Dr. Benoit-Antoine Bacon Appointed as Carleton University's 15th President and Vice-Chancellor". carleton.ca. 1 May 2018. ^ "Carleton University Visual Identity Toolkit" (PDF). Carleton University. Retrieved 12 February 2012. ^ a b c d e Neatby, H. Blair; McEown, Donald C. (2002). Creating Carleton: The Shaping of a University. McGill-Queen's University Press. p. xi. ISBN 077352486X. ^ Gall, Gwendolyn. "About Old Ottawa South". Old Ottawa South Community Association. Archived from the original on 14 March 2012. Retrieved 27 February 2012. ^ a b c J. Paul Green; Philip M. Wults; Sarah Church. "Carleton University". Thecanadianencyclopedia.com. Retrieved 10 March 2011. ^ a b "Carleton University Act". University Secretariat. Retrieved 5 November 2011. ^ "Excellence Accessibility Responsibility > Ministry of Education". Edu.gov.on.ca. Retrieved 10 March 2011. ^ "Our History". Carleton University. Retrieved 15 March 2019. ^ a b P. Anisef And J. Lennards. "University". Thecanadianencyclopedia.com. Archived from the original on 21 August 2009. Retrieved 10 March 2011. ^ Pound, Richard W. (2005). 'Fitzhenry and Whiteside Book of Canadian Facts and Dates'. Fitzhenry and Whiteside. ^ MacDougall, H.A. "St. Patrick's College (Ottawa) (1929–1979) Ethnicity and the Liberal Arts in Catholic Education". Retrieved 16 March 2013. ^ "Prospective Students". School of Social Work. Retrieved 16 March 2013. ^ "Bachelor of Humanities". Carleton University. Retrieved 16 March 2013. ^ "Rideau Timescapes". Canadian Heritage. Retrieved 2 May 2017. ^ Roche, Kelly (6 June 2016). "Carleton University students win award for Rideau Canal app". Ottawa Sun. Retrieved 2 May 2017. ^ "Changes on the Rideau Canal captured in award-winning app". Metro. 10 June 2013. Retrieved 17 May 2014. ^ "Bachelor of International Business". .carleton.ca. Archived from the original on 31 July 2012. Retrieved 27 August 2012. ^ "Our Programs – Sprott School of Business". .carleton.ca. Archived from the original on 31 July 2012. Retrieved 27 August 2012. ^ "Sprott School receives top honour at ASAC 2012". .carleton.ca. Archived from the original on 31 July 2012. Retrieved 27 August 2012. ^ Attridge Bufton, Martha (April 2007). "Norman Paterson School of International Affairs program beats out Harvard's". Archived from the original on 15 January 2013. ^ "Carleton tops Harvard for foreign relations MA". canada.com. 2007. Archived from the original on 17 October 2015. ^ a b "Teaching, Research, and International Policy (TRIP)". ^ "Journalism". Carleton University. Retrieved 23 April 2013. ^ "Members Schools APSIA". APSIA. Retrieved 23 August 2012. ^ "Arthur Kroeger College". Arthur Kroeger College. Retrieved 17 September 2018. ^ "Innovate, Collaborate, Excel - Faculty of Science". carleton.ca. Carleton University. 2018. Retrieved 5 March 2019. ^ "Carleton Science, Then and Now - Faculty of Science". carleton.ca. Carleton University. 2018. Retrieved 5 March 2019. ^ "Departments, Schools and Institutes - Faculty of Science". carleton.ca. Carleton University. 2018. Retrieved 5 March 2019. ^ "Annual Biology Butterfly Show". carleton.ca. Carleton University. 2018. Retrieved 5 March 2019. ^ "Environmental science centres across Canada". canada.ca. Environment and Climate Change Canada. 2019. Retrieved 5 March 2019. ^ "Financial Assistance". .carleton.ca. 24 August 2012. Retrieved 10 March 2011. ^ a b c "Academic Ranking of World Universities 2018". ShanghaiRanking Consultancy. 2018. Retrieved 18 August 2018. ^ a b c "QS World University Rankings - 2019". QS Quacquarelli Symonds Limited. 2018. Retrieved 8 June 2018. ^ a b c "World University Rankings 2019". Times Higher Education. TES Global. 2018. Retrieved 26 September 2018. ^ a b c "Best Global Universities in Canada". U.S. News & World Report. U.S. News & World Report, L.P. 29 October 2018. Retrieved 4 November 2018. ^ "University Rankings 2019: Canada's top Comprehensive schools". Maclean's. Rogers Media. 11 October 2018. Retrieved 13 October 2018. ^ "Canada's IR scholars: who they are and where they think you should go to school". ^ a b "Carleton Opens New Canal Building on Jan. 20". Carleton Newsroom. 18 January 2011. Archived from the original on 19 February 2014. Retrieved 28 February 2012. ^ "Carleton Students to Benefit from Multimillion MacOdrum Library Project". 24 June 2011. Archived from the original on 26 June 2012. Retrieved 6 March 2012. ^ "Helping More Students Succeed: Premier Celebrates Major Expansion of the Carleton University Library". Ontario Newsroom. 5 December 2013. Retrieved 2 February 2014. ^ "Carleton's River Building Renamed Richcraft Hall in Honor of Singhal Family Donation". Archived from the original on 10 August 2017. Retrieved 9 August 2017. ^ "Students React to River Building Name Change". 10 November 2016. Retrieved 17 February 2019. ^ "Construction U". Carleton University. 2018. Retrieved 18 February 2019. ^ "Modern U". Carleton University. Archived from the original on 7 August 2010. Retrieved 24 August 2012. ^ "Scholarships - Undergraduate Admissions". Carleton University. 2019. Retrieved 18 February 2019. ^ "Entrance Scholarships - Awards and Financial Aid". Carleton University. 2019. Retrieved 18 February 2019. ^ "Rules and Regulations - Awards and Financial Aid". Carleton University. 2019. Retrieved 18 February 2019. ^ "Project Hero". Accc.ca. Archived from the original on 14 March 2010. Retrieved 10 March 2011. ^ "Aboriginal Bursaries Search Tool". Retrieved 28 August 2015. ^ "At A Glance: Carleton University Library" (PDF). carleton.ca. Retrieved 18 February 2019. ^ "Discovery Centre - Carleton University". carleton.ca. Retrieved 16 January 2016. ^ "The W. McAllister Johnson Collection - Archives and Research Collections". carleton.ca. Retrieved 18 February 2019. ^ "The Uganda Collection - Archives and Research Collections". carleton.ca. Retrieved 18 February 2019. ^ "Common University Data Ontario (2016) Carleton University". Carleton University. 2018. Retrieved 4 March 2018. ^ a b "Member Local Students' Unions". Canadian Federation of Students. Archived from the original on 10 October 2007. Retrieved 24 August 2012. ^ a b "Carleton University Students Association". Carleton University Students Association. Retrieved 24 August 2012. ^ "Council". Carleton University Students Association. Retrieved 24 August 2012. ^ "Olivers". Carleton University Students Association. Retrieved 24 August 2012. ^ "Rooster's". Carleton University Students Association. Retrieved 24 August 2012. ^ "CUSA". CUSA. Retrieved 24 August 2012. ^ "About". Rideau River Residence Association. Archived from the original on 24 July 2012. Retrieved 24 August 2012. ^ "Events". Rideau River Residence Association. Archived from the original on 24 July 2012. Retrieved 24 August 2012. ^ "Businesses". Rideau River Residence Association. Archived from the original on 24 July 2012. Retrieved 24 August 2012. ^ "Carleton University Graduate Students Association". Carleton University Graduate Students Association. Archived from the original on 29 July 2012. Retrieved 24 August 2012. ^ "About CKCU-FM". CKCU-FM Radio. Retrieved 10 April 2012. ^ "Sock 'n' Buskin Theatre Company". Sock n Buskin. Retrieved 6 May 2016. ^ "Carleton cruises to record 9th CIS men's basketball title". CBC News. ^ a b c d "Carleton Football is Back". Ottawa Sun. Archived from the original on 17 May 2013. Retrieved 23 August 2012. ^ "Former Penguins draft pick to suit up for Ravens next season". Retrieved 28 August 2015. ^ "Clubs & Societies List". Carleton University Students' Association. Retrieved 30 June 2012. ^ "The Right Honourable Herb Gray, P.C., C.C., Q.C. Named Carleton University Chancellor". .carleton.ca. 28 November 2008. Archived from the original on 30 July 2012. Retrieved 10 March 2011. ^ "Charles Chi Named Next Carleton University Chancellor". carleton.ca. 29 August 2011. Archived from the original on 25 March 2014. Retrieved 17 March 2012. ^ "New President Appointed to Carleton University". CNW Group Ltd. 8 January 2008. Archived from the original on 9 June 2011. Neatby, Blair (2002). Creating Carleton: The Shaping of a University. Montreal: McGill-Queen's University Press. ISBN 077352486X. Axelrod, Paul (1982). Scholars and Dollars: Politics, Economics, and the Universities of Ontario 1945–1980. Toronto: University of Toronto Press. ISBN 0-8020-5609-1. Mesley, Roger J. (1989). Art Carleton: Carleton University Art Collection. Ottawa: Carleton University Press. ISBN 0-88629-083-X. Public universities grant degrees under the authority of an Act of the Legislative Assembly or a Royal Charter. Private universities grant degrees under the authority of an Act of the Legislative Assembly or may provide individual degree programs with the consent of the Minister of Training, Colleges and Universities. Concordia University is a public comprehensive university located in Montreal, Quebec, Canada Founded in 1974 following the merger of Loyola College and Sir George Williams University, Concordia is one of the three universities in Quebec where English is the primary language of instruction. As of the 2017–2018 academic year, there were 46,093 students enrolled at Concordia, making the university among the largest in Canada by enrolment. The university has two campuses, set approximately 7 kilometres apart: Sir George Williams Campus is the main campus in Downtown Montreal, in an area known as Quartier Concordia, and Loyola Campus in the residential district of Notre-Dame-de-Grâce. With four faculties, a school of graduate studies and numerous colleges, centres and institutes, Concordia offers over 300 undergraduate and 100 graduate programs and courses. The University of Waterloo is a public research university with a main campus in Waterloo, Ontario, Canada. The main campus is on 404 hectares of land adjacent to "Uptown" Waterloo and Waterloo Park. The university offers academic programs administered by six faculties and ten faculty-based schools. The university also operates three satellite campuses and four affiliated university colleges. 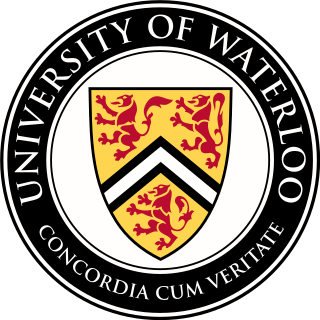 Waterloo is a member of the U15, a group of research-intensive universities in Canada. The University of Waterloo is most famous for its cooperative education (co-op) programs, which allow the students to integrate their education with applicable work experiences. The university operates the largest post-secondary co-operative education program in the world, with over 20, 000 undergraduate students in over 140 co-operative education programs. The University of Ottawa is a bilingual public research university in Ottawa, Ontario, Canada. The main campus is located on 42.5 hectares in the residential neighbourhood of Sandy Hill, adjacent to Ottawa's Rideau Canal. The university offers a wide variety of academic programs, administered by ten faculties. It is a member of the U15, a group of research-intensive universities in Canada. The University of Ottawa is the largest English-French bilingual university in the world. Mount Allison University is a primarily undergraduate Canadian liberal arts and science university located in Sackville, New Brunswick. It has been ranked the top undergraduate university in the country 20 times in the past 28 years by Maclean's magazine, a record unmatched by any other university. With a 17:1 student-to-faculty ratio, the average first-year class size is 60 and upper-year classes average 14 students. The University of Western Ontario (UWO), corporately branded as Western University as of 2012 and commonly shortened to Western, is a public research university in London, Ontario, Canada. The main campus is located on 455 hectares of land, surrounded by residential neighbourhoods and the Thames River bisecting the campus' eastern portion. The university operates twelve academic faculties and schools. It is a member of the U15, a group of research-intensive universities in Canada. Nipissing University is a primarily undergraduate public liberal arts university located in North Bay, Ontario, Canada. The university overlooks Lake Nipissing. Nipissing University is recognized for providing an individualized student experience, having supportive and accessible professors, small class sizes, research opportunities for undergraduate students, and some of the best residences and residence programming in Canada. Brock University is a public research university in St. Catharines, Ontario, Canada. It is the only university in Canada in a UNESCO Biosphere Reserve, at the centre of Canada's Niagara Peninsula on the Niagara Escarpment. The university bears the name of Maj.-General Sir Isaac Brock, who was responsible for defending Upper Canada against the United States during the War of 1812. Woodsworth College, named after politician and clergyman James Shaver Woodsworth (1874–1942), is a college within the University of Toronto in Canada. It is the largest college in the Faculty of Arts and Science on the St. George Campus. It is also the newest of the colleges at the University of Toronto, created in 1974. 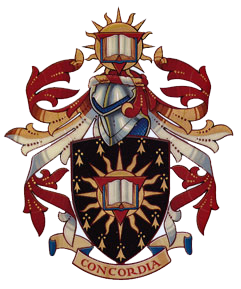 Woodsworth College's arms and badge were registered with the Canadian Heraldic Authority on October 15, 2006. The University of Regina is a public research university located in Regina, Saskatchewan, Canada. Founded in 1911 as a private denominational high school of the Methodist Church of Canada, it began an association with the University of Saskatchewan as a junior college in 1925, and was disaffiliated by the Church and fully ceded to the University in 1934; in 1961 it attained degree-granting status as the Regina Campus of the University of Saskatchewan. It became an autonomous university in 1974. The University of Regina has an enrollment of over 15,000 full and part-time students. The university's student newspaper, The Carillon, is a member of CUP. Algonquin College of Applied Arts and Technology is a publicly funded English-language college located in Ottawa, Ontario, Canada. The college serves the National Capital Region and the outlying areas of Eastern Ontario, Western Quebec, and Upstate New York. The college has three campuses; a primary campus located in Ottawa, Ontario, and secondary campuses located in Perth, Ontario, and Pembroke, Ontario. The college offers bachelor's degrees, diplomas, and college certificates in a range of disciplines and specialties. It has been ranked among the Top 50 Research Colleges in Canada and has been recognized as one of Canada's top innovation leaders. The enabling legislation is the Ministry of Training, Colleges and Universities Act. It is a member of Polytechnics Canada. Glendon College is a federated campus of York University in Toronto, Ontario, Canada. An internationally oriented, bilingual liberal arts college with 84 full-time faculty members and a student population of about 2,700, Glendon is located in midtown Toronto's Lawrence Park neighbourhood. The college was founded as the first permanent establishment of York University when it began academic operation under the mentorship of the University of Toronto in September 1960. Under the York University Act 1959 legislation, York was once an affiliated institution of the University of Toronto, where the first cohort of faculty and students originally utilized the Falconer Hall building as a temporary home before relocating north of the St. George campus to Glendon Hall — an estate that was willed by E.R. Wood for post-secondary purposes. The Norman Paterson School of International Affairs is a professional school of international affairs at Carleton University that was founded in 1965. The school is housed in Richcraft Hall, on Carleton's campus in Ottawa, Ontario, Canada. Students, alumni and faculty of NPSIA are referred to as NPSIAns. Murdoch Maxwell MacOdrum was the second president of Carleton College in Ottawa, Ontario. Born in Nova Scotia, MacOdrum got his B.A. from Dalhousie University in 1923, his MA in 1925 from McGill and a PhD in English from the University of Edinburgh. In 1935 he was ordained as a Presbyterian minister in Sydney, N.S., where he ministered for four years. MacEwan University is a post-secondary undergraduate university located in Edmonton, Alberta, Canada. Wilfrid Laurier University is a public university in Waterloo, Ontario, Canada. Laurier has a second campus in Brantford and offices in Kitchener, Toronto and Chongqing, China. It is named in honour of Sir Wilfrid Laurier, the seventh Prime Minister of Canada. The university offers undergraduate and graduate programs in a variety of fields, with nearly 15,000 full-time undergraduate students, over 900 full‑time grad students and nearly 3,000 part-time students as of Fall 2016. Laurier's varsity teams, known as the Wilfrid Laurier Golden Hawks, compete in the West Conference of the Ontario University Athletics, affiliated to the U Sports. The Arthur Kroeger College of Public Affairs, colloquially known as Arthur Kroeger College or AKC, is a specialized institute within the Faculty of Public Affairs at Carleton University in Ottawa, Ontario. The College offers undergraduate and graduate programs in the fields of public policy, international studies, and political management. These include the Bachelor of Public Affairs and Policy Management (BPAPM),the Bachelor of Global and International Studies (BGInS), and the Master of Political Management (MPM) programs.